As another week draws to its inevitable conclusion, we've put together a cracking TechRadar show for your delectation. This week we touch on the future of Microsoft as it sheds staff, we talk through the controversial matter of remastered games and decide what we'd like to see given a next-gen sheen, and we get to the bottom of why Google are being linked to Twitch. 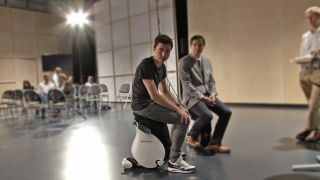 And, lest we forget, we also have some amazing footage of our very own intrepid Hugh Langley trying out Honda's glimpse into the future of personal transportation.